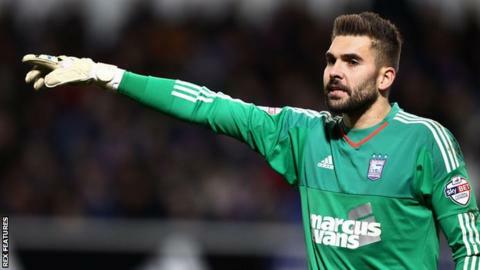 Ipswich Town goalkeeper Bartosz Bialkowski has signed a new contract with the Championship side until the summer of 2018, with a 12-month option. The 28-year-old, whose previous deal ran out in the summer, has made 45 appearances since joining Town in 2014. He fell behind Dean Gerken in the pecking order, but reclaimed his place after Gerken injured his shoulder in the defeat at Birmingham last month. "I've been pleased with my performances since I returned to the team," he said. "I have felt very confident and made some good saves but then that is my job really."